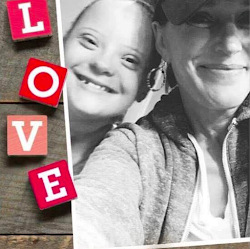 When you become a parent of a child with Down syndrome, you are welcomed into a club of parents who you did not even know existed until your child was born. 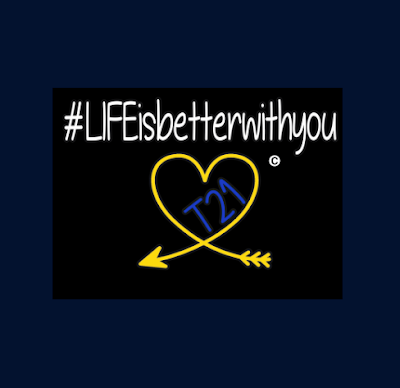 Many of us often refer to the club as the T 21 Club, or the "You won the lottery club!" Friendships are formed and bonds are made between parents that become almost like family to you! One such friendship for me is my dear friends Casey and Mike Atkinson, also known as Tori's parents! Tori is a little younger than ME, and she is an absolute rock star! Recently she was diagnosed with Myelodyplastic Syndrome also known as MDS. Due to this Tori will be receiving a bone marrow transplant and chemo. Casey has had to quit her job. She will be relocating away from her family to Milwaukee for treatment. 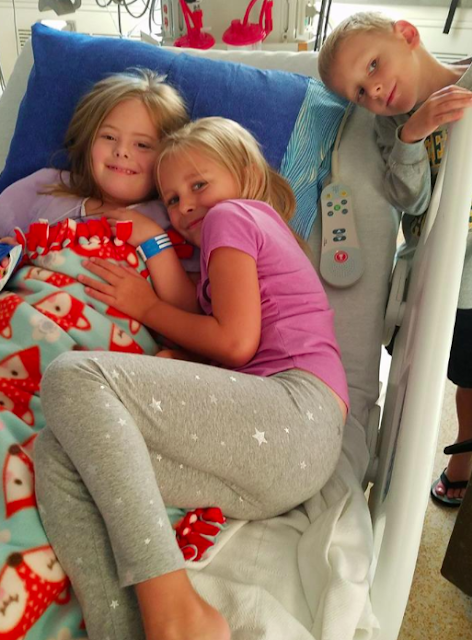 Her husband, Mike, and their two darling children, Tori's siblings, will remain at home, in Green Bay. I have always believed that Casey became a Dreamer for a reason. I knew she became one because we were dear friends, and we were destined to work together to make sure our daughter's futures were bright. What I did not know was that this could possibly be helpful for Casey's family right now, with the loss of her income, the travel this will take, and the separation of family members. The holidays are coming, and this is the perfect time to pick up a gift for your child's favorite teacher, relative or therapist. Please consider purchasing with a purpose from Casey's online store. I will be running her store for her while they work hard to balance all that this new diagnosis will bring them. 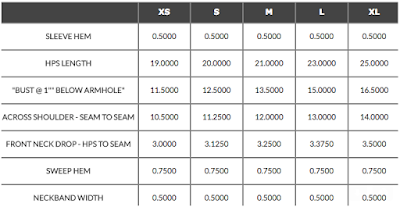 With every purchase, they will make the profit, and this will help them with the costs they will incur. 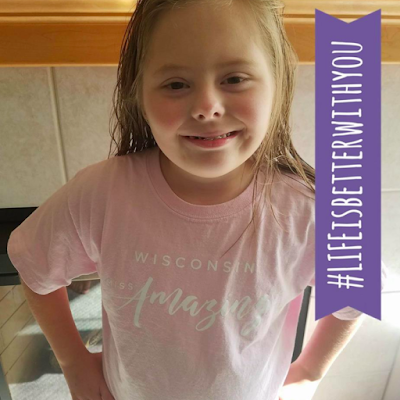 I am glad this is something I can do, as I have the impulse drop everything I am doing, run to Wisconsin and sit by their side for the months this will take to treat! That is not realistic, but this is. This is a way I can help them as they are going through this. Casey and Mike, all of the Dreamers are with you in prayer and spirit! We know that Tori will do this like she has done all things, and she will fight her way through it. While we can't take this from you, we hope that we can help get the support you will need as you all fight to give her the best care possible! We believe in you! And we are standing with you! #LIFEisbetterwithyou UPDATE on T Shirts, decals and more oh my! You can pre order by clicking on this link and ordering at Dreamers Merchants Coffee Company or by contacting your favorite Dreamer! WE HAVE TWO DIFFERENT OPTIONS! T21 design by Mallory Fogas of Grey Design Co. The shirts will be Bella and Canva brand t shirts. For those who don't know, these are SUPER comfy shirts!! 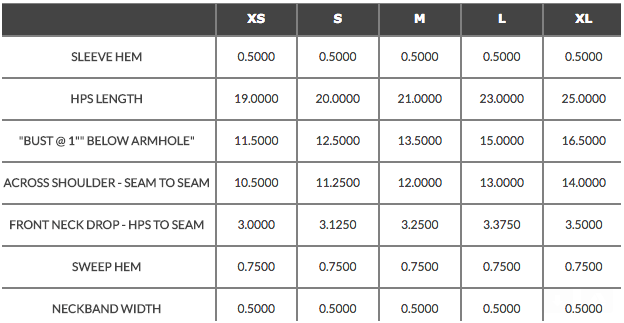 They will be in both Men's and Women's cut. And of course youth sizes. Much the same color as this mock up! But not exactly, but you get the idea! As soon as I get mine, of course I will have MaryEllen model hers!! not like you see in this mock up! The color will be a dark grey. So pretty much not this shirt at all. lol But better! This is also perfect for a gift for teachers, therapists and family members! We have gift baskets available if you are interested in gift giving. Every T shirt will come with a Dreamers K Cup sample! Thank you to all of you who have already pre purchased through our pre sale! We appreciate you! 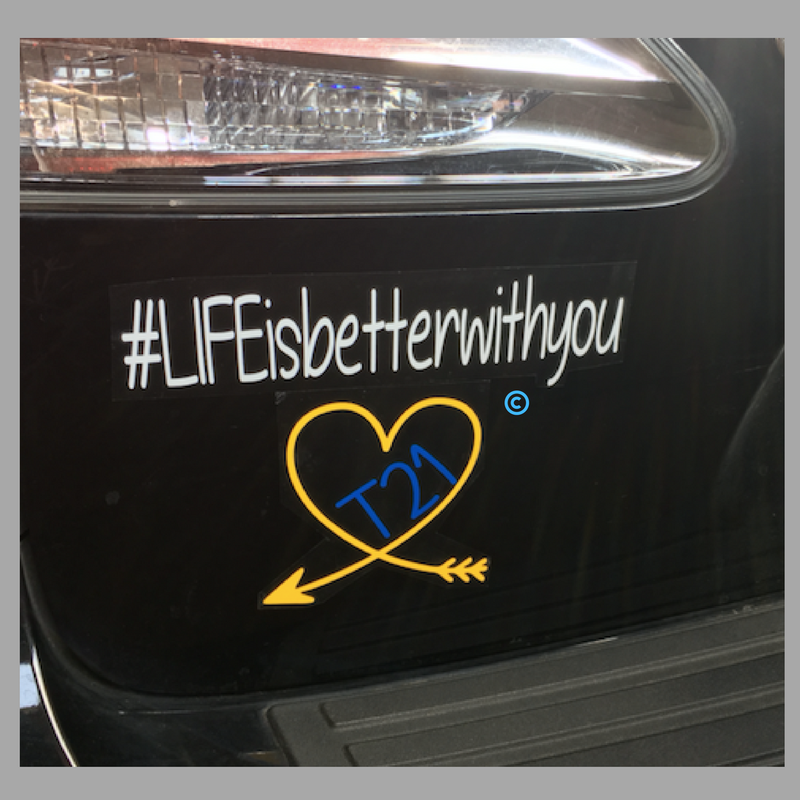 #LIFEisbetterwithyou T- SHIRTS, DECALS AND MORE OH MY!! 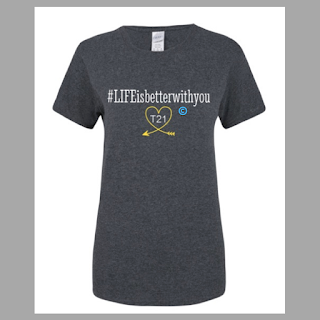 We have been contacted by many people asking us to create a #LIFEisbetterwithyou t-shirt! Annie and I have spoken at length about what we believe the design should look like, each time we were asked if we would create one. Both of us agreed we wanted it to be really awesome. Both of us agreed we would rather go slowly and think it through than rush. And both of us agreed that the exact design would come to us! We believe that the #LIFEisbetterwithyou design found us! 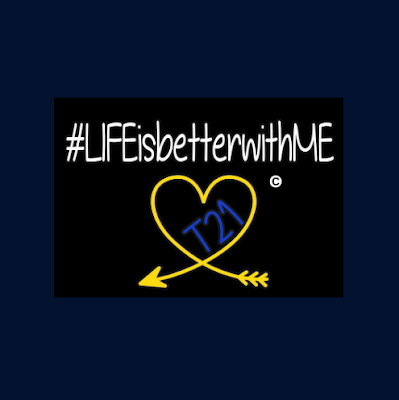 So without further adieu here is the design that will be made into t shirts, decals, and any number of things that we are asked to make it into! 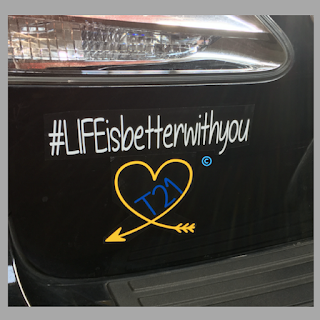 This awesome logo, that I am right now proudly driving around with on my car, will be available through all of our Dreamers stores! We hope you will be patient with us as we work out the behind the scenes details! We expect to have this in as many Dreamers stores as we can by early next week! But by all means, spread the word! 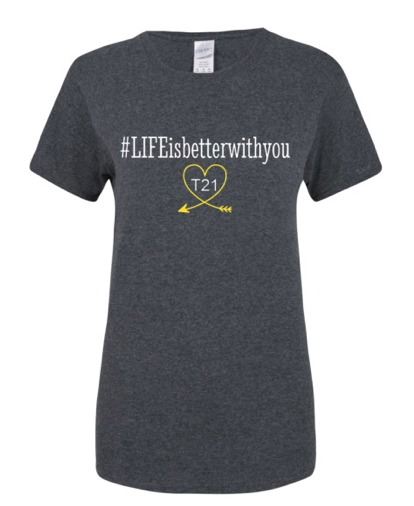 The official #LIFEisbetterwithyou t-shirts are on the way! Oh and here is our mock up for the t shirt! We will be using the same design as the above decal, but this will give you an idea of the awesome t shirt that is on its way!